#Office365Challenge Bored with the white & blue Office. Well never fear, when Microsoft is near. 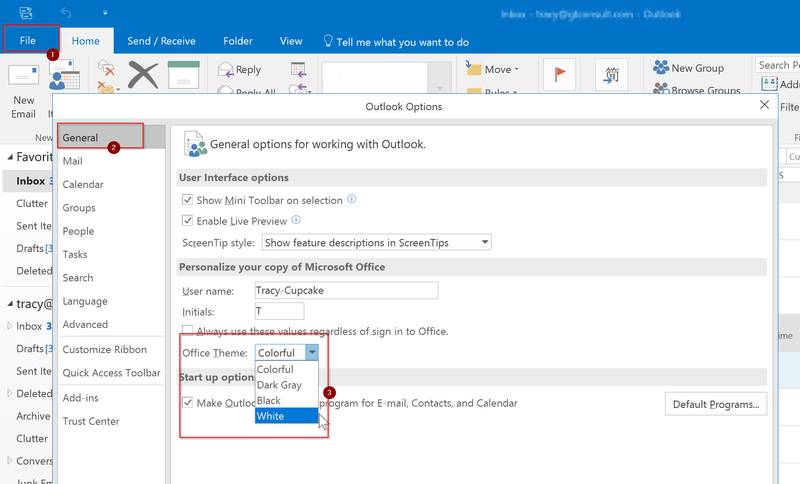 Here’s a reminder that you can change the themes for your Office. I’ve changed my theme in Outlook. Have fun. Don’t be boring!